Austin County Fair PRCA Rodeo 2013 festival over 40k expected!! Austin County Fair PRCA Rodeo 2013 festival in October will be one of the best festivals in Bellville Texas in years! Stop by the Austin Fairgrounds and see what Bellville has in store for you rodeo lovers! All attending the 2013 Fair will enjoy good Austin County fun, food, entertainment and fellowship. A big midway carnival, PRCA Rodeo, Livestock Show, Parade, Queen’s Contest, Youth Auction Sale, exhibits and national recording arts will keep fair patrons entertained. Your general admission ticket includes the concert & rodeo. Performing at the Austin County Fair this year are Travis Tritt, Granger Smith, Pat Green, Randy Brown, Josh Abbott Band, and William Clark Green. Spanish dance on Wednesday (Bands to be announced) and Polka Party on Sunday with music by Texas Sound Check and the Shiner Hobo Band. 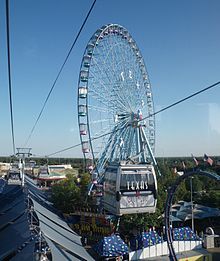 Visit our website at www.austincountyfair.com for more information.